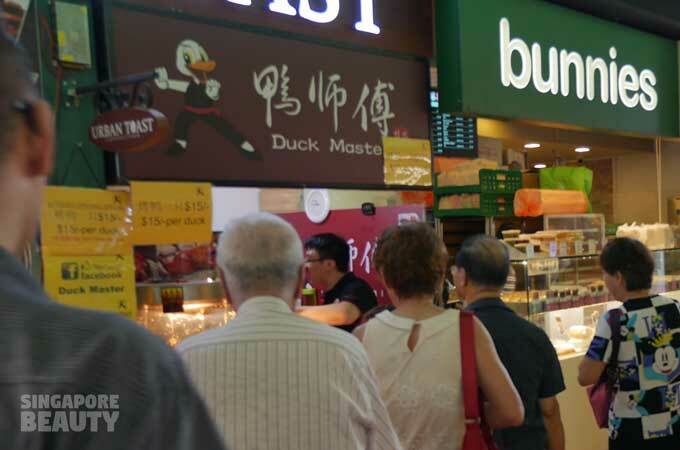 Duck Master is now the hottest duck in town, we mean Chinatown (They have moved). Duck fanatics are seen excited in queue at their humble kiosk. 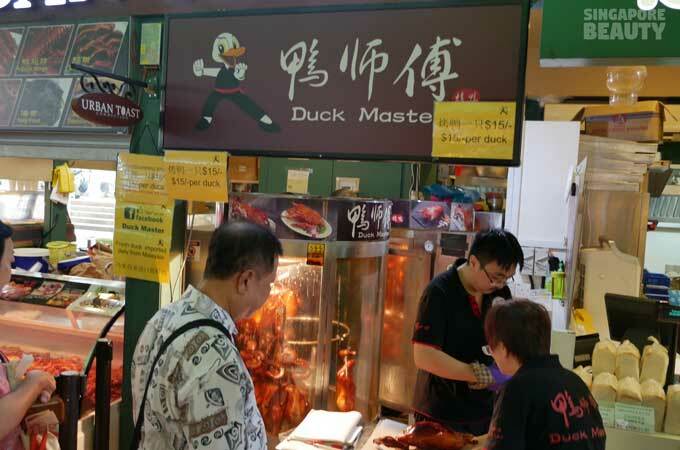 Duck Master is selling their ducks at a cut throat price of $15 (opening price) for one whole bird. 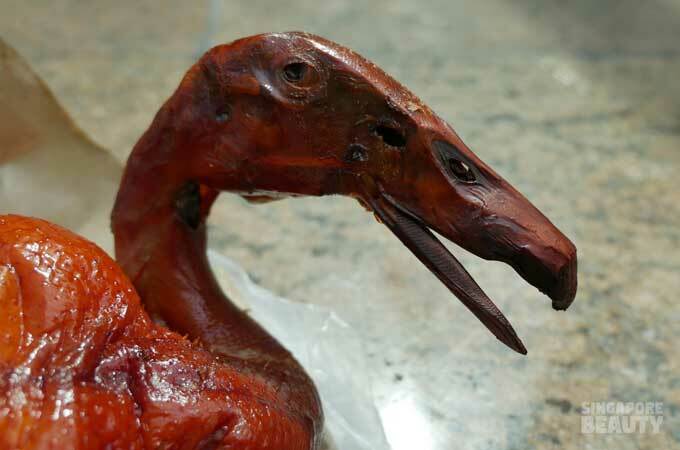 These are fresh ducks imported daily from Malaysia. Younger and smaller ducks are selected to ensure that the meat is tender. 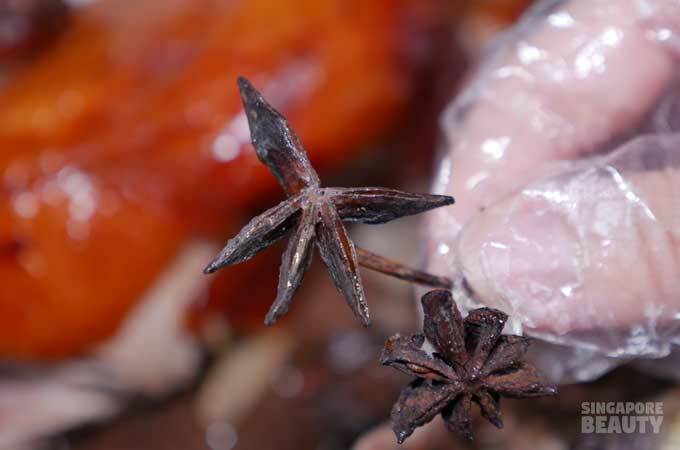 Marinated with their secret recipe of a unique blend of herbs and spices – star aniseed, cinnamon stick and garlic. 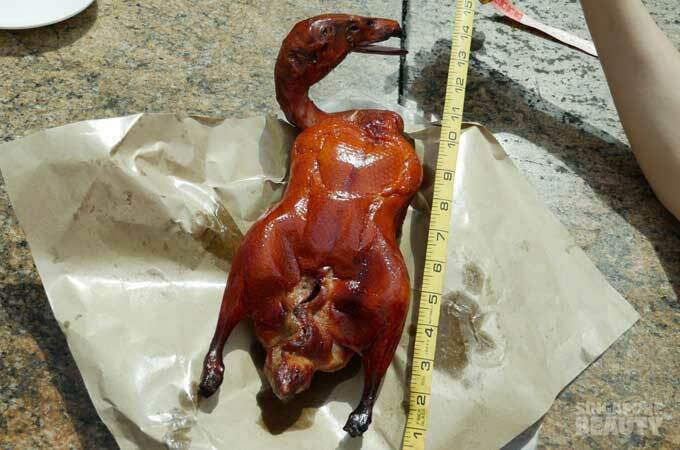 What really give the duck its pop is their special blend that gets foodie hooked. These ducks are pre-processed locally in their AVA approved central kitchen. 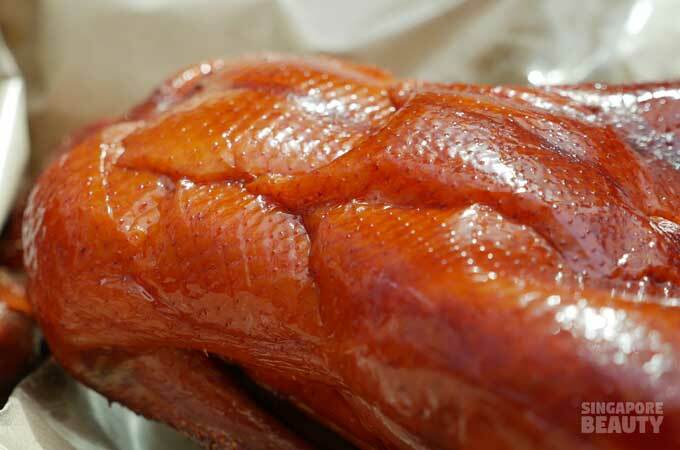 These raw semi-processed ducks are then roasted to perfection at the outlet before your very eyes. 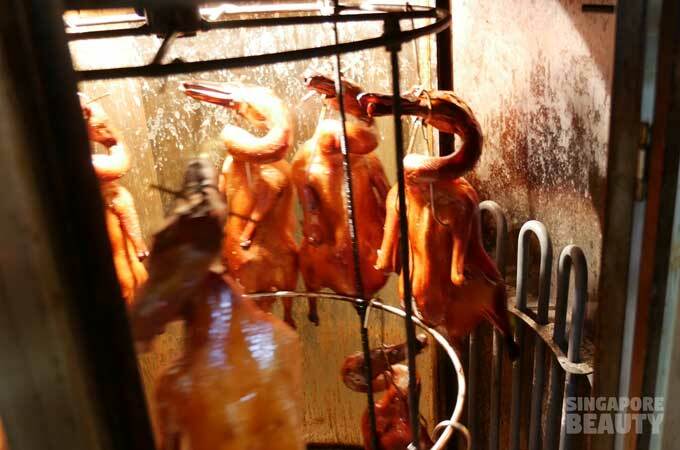 You are treated to a visual feast of the sun kissed duck roasted to gorgeous dark brown in their vertical rotating oven. These tempered glass ovens are used to roast the ducks on the spot. Each duck is hung vertically and spaced out neatly from their neighbours. The 2 ovens could accommodate 23 to 25 ducks each. 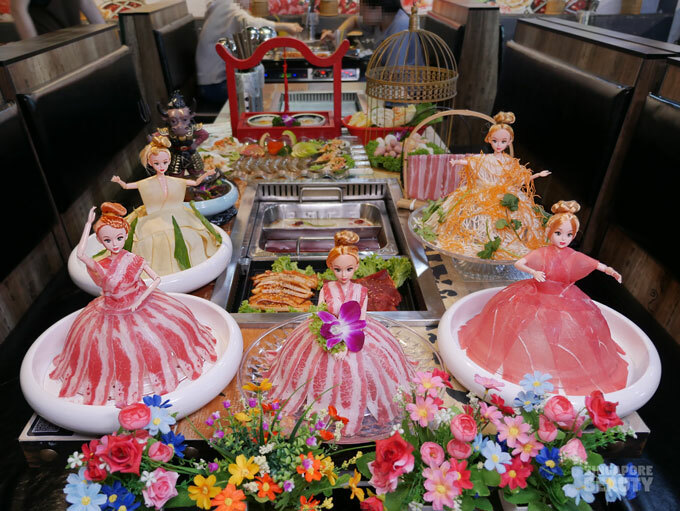 We have seen shows of chefs making xiao long bao behind a glass kitchen but it is nothing compared to the duck merry-go-round in a glass oven. 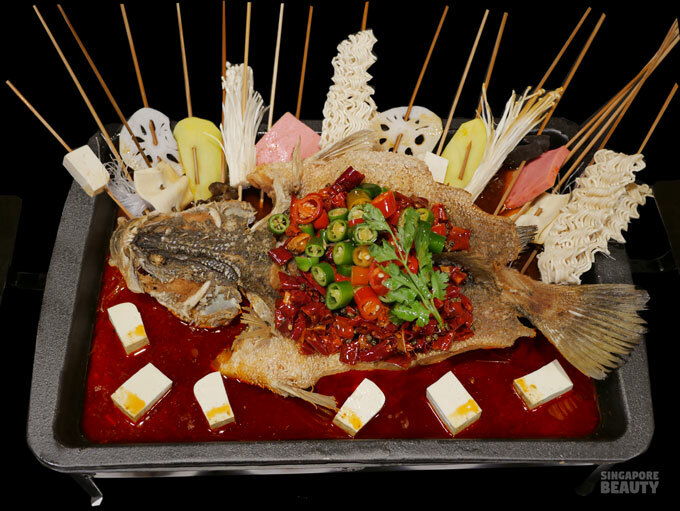 This outward display of ‘live’ culinary showmanship is just too hard to resist. We quickly joined the long snaking queue of salt and pepper hair crowd. Before you can join the queue, you need to make payment first at the front counter. 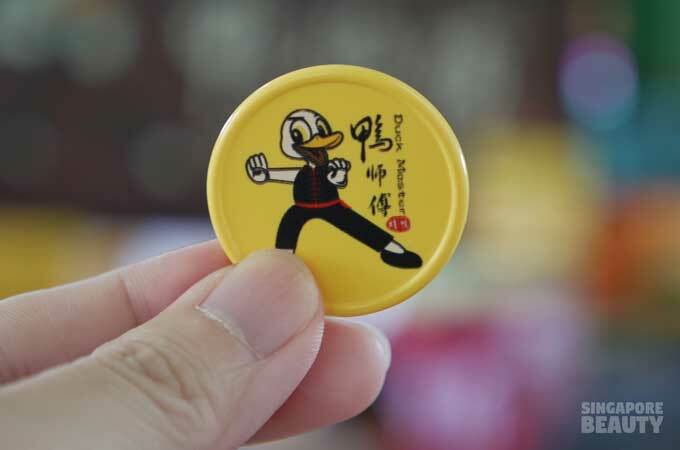 You will be given a Duck Master coin. Their staff will inform you of the next earliest collection time. This is the best arrangement for now till they come up with their mobile booking apps. 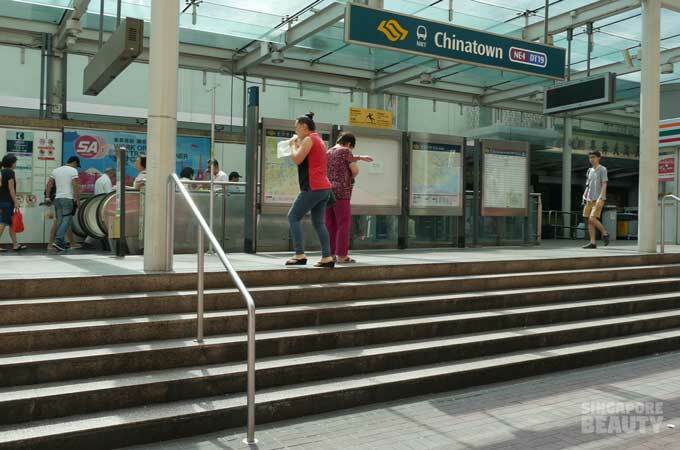 Their peak hour is between 3-7pm where the waiting time may stretch up to 1-2 hours. 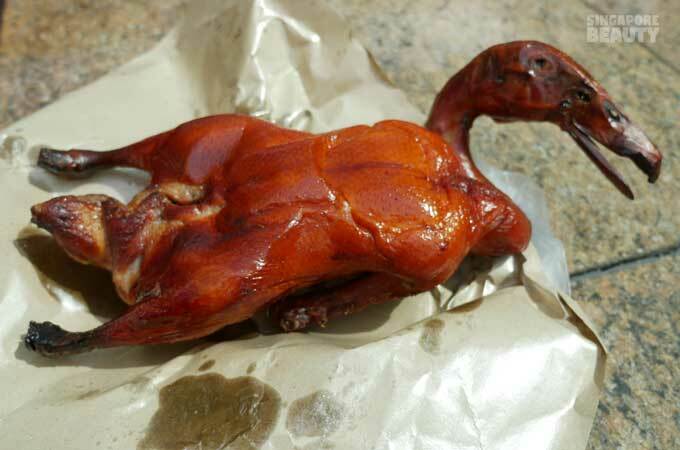 The duck is sold straight out from the oven and wrapped in a grease paper for takeaway. 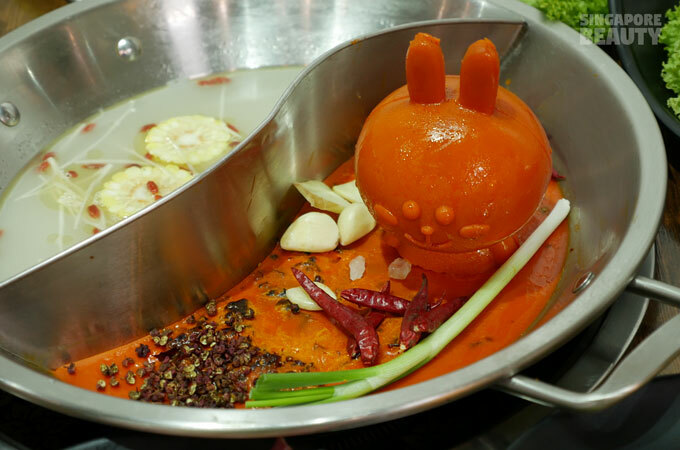 No chopping services will be provided for the piping hot ducks. They sell the uncut ducks for 2 good reasons. 1. Resting the freshly roasted duck ensures the juices are sealed within the duck till consumption. 2. Chopping the ducks means longer waiting time and higher operating cost. We had a chat with Paul, the co-founder of Duck Master. He was a food photographer and roast duck is his all time favourite. This is one of the reasons why he founded Duck Master. B) Cut it with a pair of scissors. 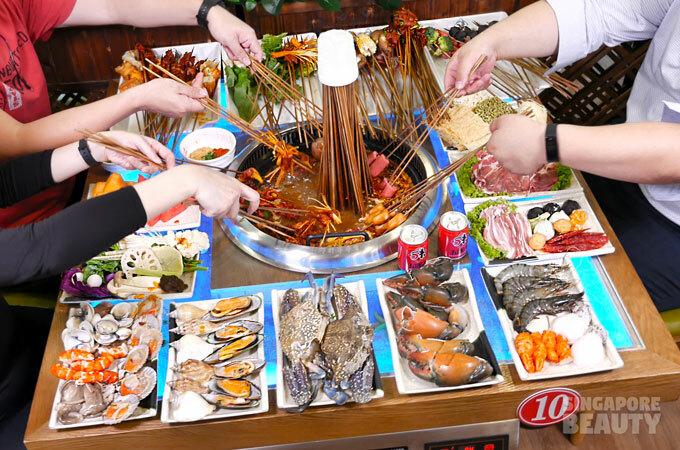 C) Tear the meat and eat like a caveman. Look at how the skin glistens. The skin is roasted till it is all puffy and crispy. The savoury skin is slightly charred for that smoky flavour. 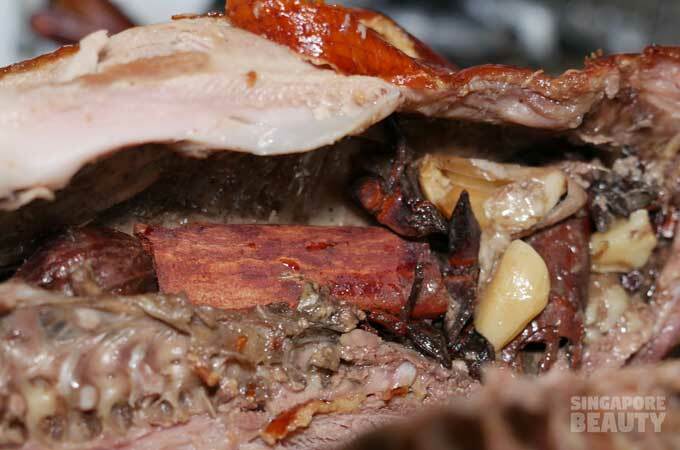 The juices contained between the skin and the meat oozes out as you bite into it. 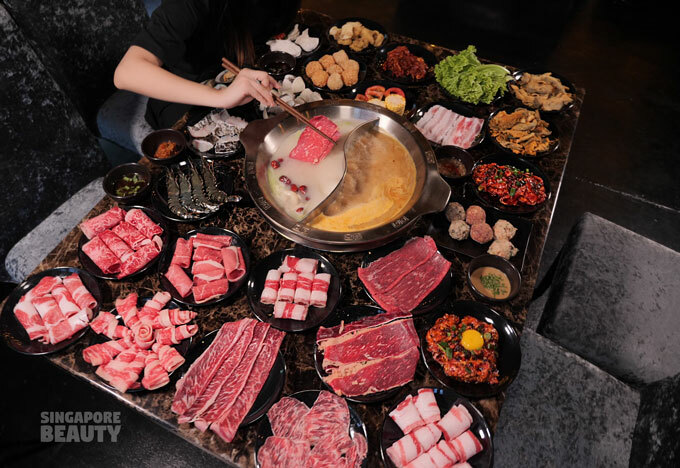 Tender and flavourful meat infused with the goodness of the spices and herbs. 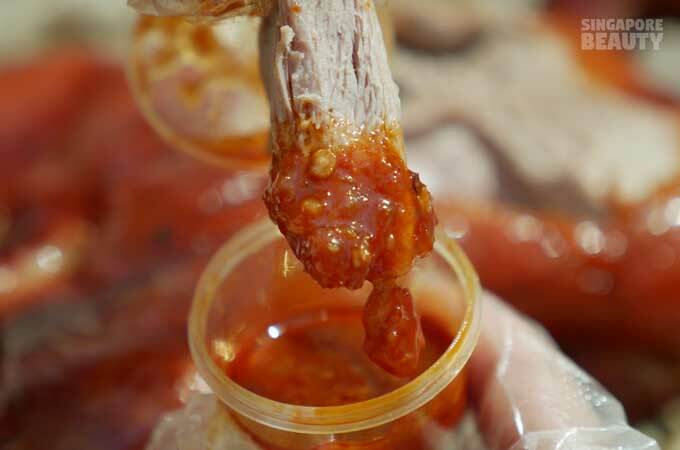 The rib bones are packed with the most intense flavour of the marination. You can make a congee out of it and none of the good stuff goes to waste. Although there is no extra sauce or gravy, they do have a mild chilli sauce dip. 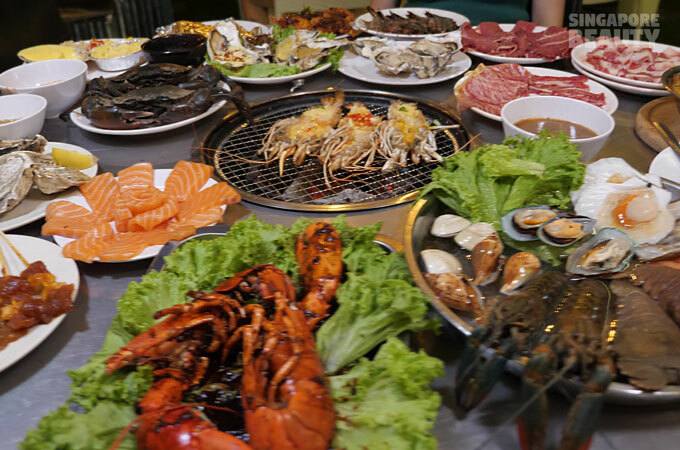 I felt that the roasted duck is best eaten hot with just some chilled brews. The duck is large enough for 2-3 px. Enough said, get cracking or quacking, head down now before the offer is over. They have many outlets island-wide. The Chinatown branch shown here no longer exist. Tips: Owner starts roasting before opening hours. He might sell the ducks earlier. This is not a sponsored post, we queued and paid for our duck.